One of the most interesting things about running is how when one race ends, training for the next race begins. 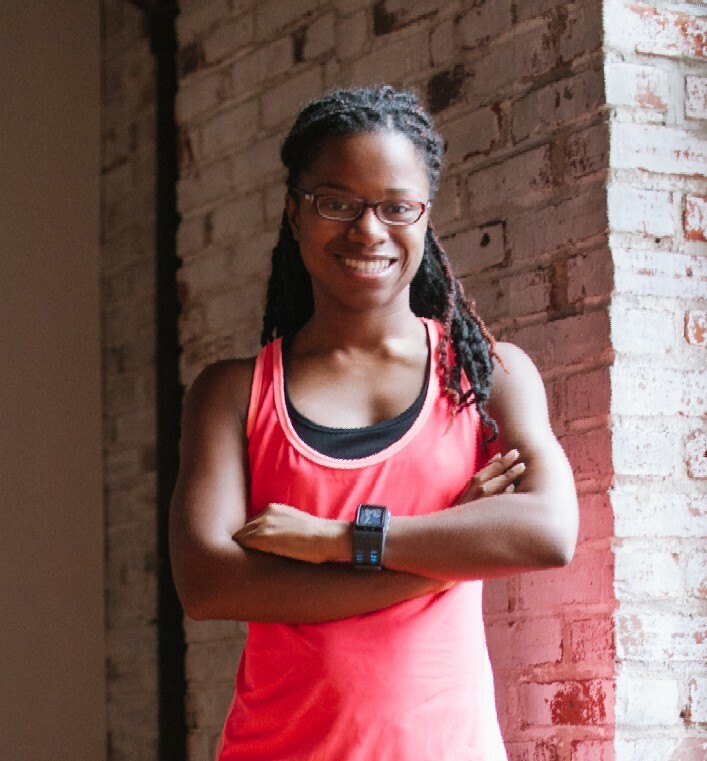 I had a really good training experience with the ZOOMA Run Love Challenge, but now that the race is behind me, it’s time to focus on my next big goal: The Credit Union Cherry Blossom 10 Miler in Washington, DC! It almost feels a little bit like deja-vu. 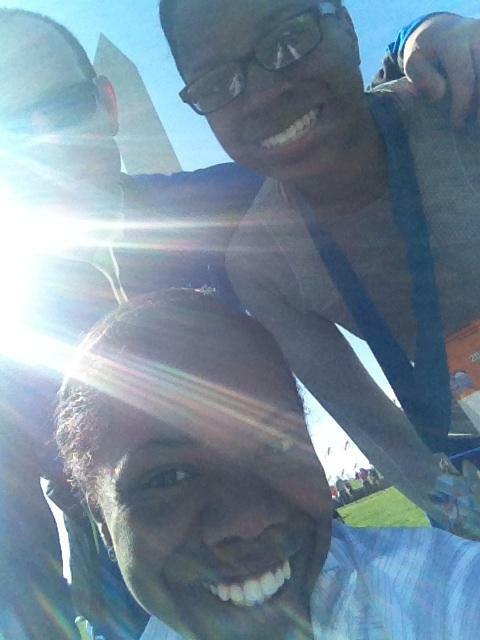 A year ago, I trained for the Cherry Blossom 10 Mile run with Coach Kristy guiding me every step of the way. This year, while my training plan is different, I’m starting to get back in the “Cherry Blossom mindset”….aka things are about to get real! I am really thankful for the success that I had at Cherry Blossom in 2015. I finished stronger and faster than I started, which is always a good thing! I really felt prepared for the race. Now that I’m a year older and wiser, I want to make sure I’m continuing to do all the right things to see if I can do an even better job. It’s going to be a lot of work, but I’m ready! 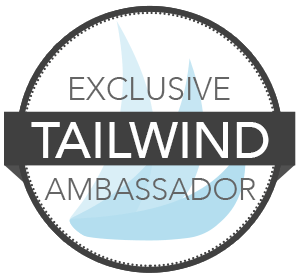 Hopefully, you enjoy reading about my training adventures each week! Meanwhile, I just found out this week that I made the lottery for the Independence Blue Cross Broad Street 10 Mile Run in Philly on May 1! It is THE ultimate Philadelphian race that runs down Broad Street with 40,000 runners. It was my very first long distance race 5 years ago, and it’s almost serendipitous that I will be returning to this run for the first time since 2012. Bret also made the lottery, so he’ll be running this race for the first time. I’m excited for him! At the rate I’m going, I’ll be running more races in the spring than I did all of last year! I’m just so grateful to have race ambassadorships this year that will allow me to go to so many new races and places! I feel extremely lucky and blessed! Wednesday 2/10: I went for a quick run after work – 3 miles total with 1 mile of intervals (15 seconds fast, 45 seconds recovery). Around the last 1/4 mile, my shins were really starting to bother me. Not good. Thursday 2/11: A quick workout in Core and More class was really tough! My lower abs just weren’t having it. In the evening, I had weight training class and our group continues to be full of laughs. We worked our quads on the weight machines, did planks, and worked on holding ourselves on the pull-up bar. Surprisingly, I did better than I thought I could. We also walked on the treadmill for 15 minutes on full 15% incline. Friday 2/12: Rest day before the 10K. Saturday 2/13: The ZOOMA Run Love Challenge 10K! When we got home, I took the longest nap ever! Sunday 2/14: Another rest day to recover from the race. Monday 2/15: I had the day off, so I went shopping! I’m going to count all that walking as my exercise for the day! Tuesday 2/16: Finally back to working out. I went to weight training class at lunch and did some challenging plyometric moves with 10-pound weights. I need to step up my lunge game! I also did some work on my biceps and triceps, trying to focus on proper form. After work, I ran 5 miles – 1-mile warmup, 3 miles with intervals of 15 seconds hard, 45 seconds easy, and 1-mile cooldown. I made sure not to go too fast, and thankfully had no shin issues. Since I started having shin pain last week, that was a HUGE red flag that I need to slow things down. It’s a little frustrating not having a training plan that tells me what pace to run, but it’s no excuse – I need to do a better job of staying in control. Taking a few days off last week was necessary for me to regain that control. When your body speaks to you, listen to it! I am so glad that I made the adjustments I needed to in order to prevent any potential injury – with all that lies ahead, I need to keep this body strong! I had some really good workouts over the past few days and I’m still working on strengthening my hips whenever I have a chance. I’m also doing a better job of keeping up my steps throughout the week, beyond my running days. 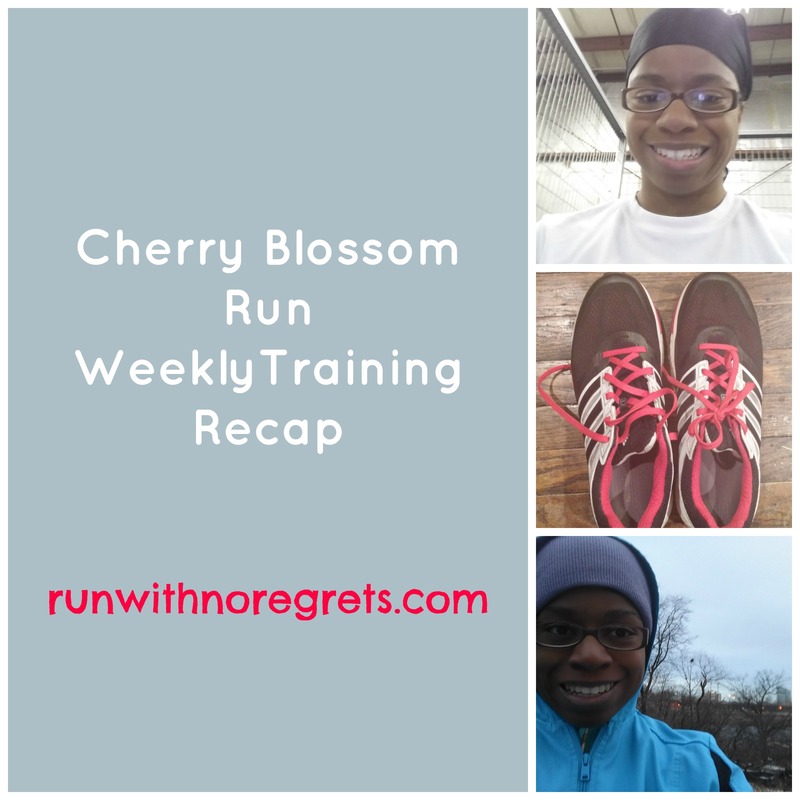 With all that said, I’m going to give week 3 of Cherry Blossom training a B. How were your workouts this week? Have you had any issues where you thought an injury was on its way? How did you adjust?